Every medical professional who works with patients needs a stethoscope, and Littmann Stethoscopes have been the best in the industry since the 1960’s when David Littmann first revolutionized personal diagnostic equipment. They have continued to develop under the ownership of the American company 3M, with new features and innovations even today. 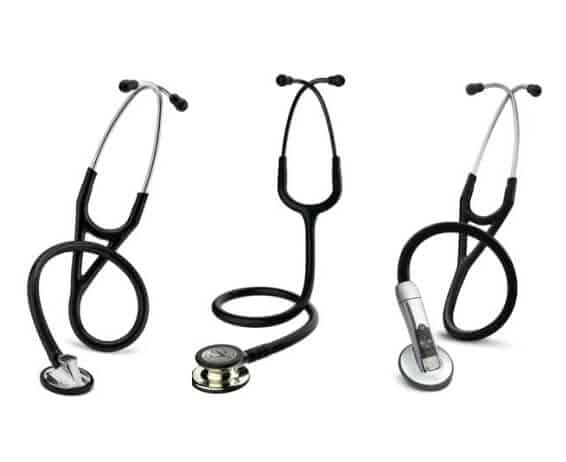 Littmann stethoscopes come in a variety of styles, designs, and price points. In this article, we’ll compare the cost to benefit of the most popular models to help you decide which one is right for you. Before you hop right into choosing a Littmann stethoscope, you should understand a bit about how they work, the important parts, and how differences in those parts affect the quality of the stethoscope. The most important part of a stethoscope is the chest piece. This is the part that goes against the patient’s skin, and it can either be a diaphragm or a bell. A diaphragm has a membrane stretched across a hollow cavity. When the membrane vibrates, it moves the air inside and creates the pressure differences that our ears detect as noise. Since the area of the membrane is larger than the cross-sectional area of the tube, air has to move farther within the tube and the sound is amplified. Bells work similarly to diaphragms, but the hollow cavity in a bell has no membrane across it. Traditionally bells are used to listen to low frequency sounds. Tunable Diaphragm - The frequency of the sound heard can be adjusted by changing how hard the chest piece is pressed against the skin. Use low pressure to hear low frequency sounds and high pressure to hear high frequency sounds. Pediatric Diaphragm – A smaller diaphragm that may or may not be tunable depending on the model. The membrane can be removed to turn the pediatric diaphragm into a bell. Bell – Similar to the diaphragm but smaller and without a membrane. The bell is used to hear low frequency sounds. Stethoscopes can have either a single or double head. A single head has one-tunable diaphragm that is used for everything. A double headed stethoscope has a regular tunable diaphragm on one side and a bell or pediatric diaphragm on the other side. To switch between sides, swivel the chest piece around 180 degrees. You will hear a click when it locks into the correct orientation. Only one side of the stethoscope is usable at a time, so don’t try to listen without swiveling the chest piece first! Although many stethoscopes come with a bell, there is disagreement in the medical community whether bells are useful or obsolete. Bells are traditionally thought to be better for hearing low-frequency sounds like some heart murmurs and bowel sounds while diaphragms are better for high frequency murmurs and lung sounds [3, 5, 6]. The tunable diaphragm has called into question whether bells are an instrument of the past, but no consensus has been reached. Littmann offers both types of stethoscope as the difference seems to be largely personal preference [1, 2, 4]. The Littmann Lightweight SE model has a double-sided chest piece with a tunable diaphragm and a bell. The flat teardrop-shaped head that is designed to slip under blood pressure cuffs shows that its designers never intended it for in-depth cardiac exams. Although the Lightweight II SE is only an ounce lighter than the Littmann Classic, that ounce can make a difference over the course of an entire shift around your neck or in a pocket. 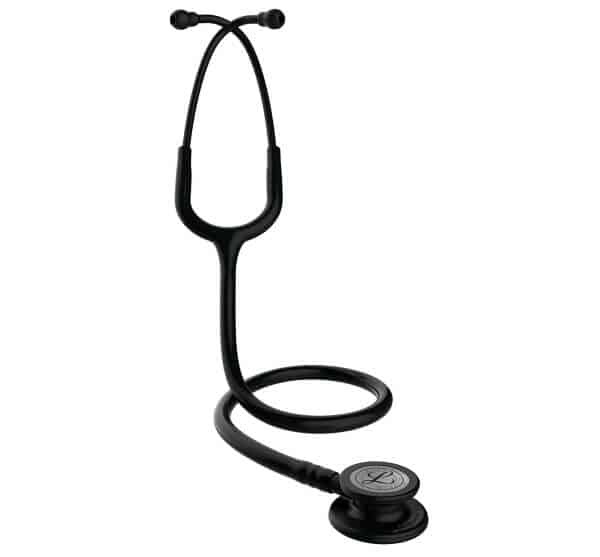 Overall, it is a great first Littmann stethoscope with excellent quality for the price. The Littmann Lightweight II SE is a good purchase for an EMT-B or a broke student, but for long-term use, an upgrade is in order. 3M’s Littmann Classic III is arguably the standard for those with a career in the medical field. The chest piece has a double-sided head with both an adult and pediatric diaphragm. Both diaphragms are tunable, and the pediatric diaphragm membrane can be replaced with a rubber rim to become a bell. 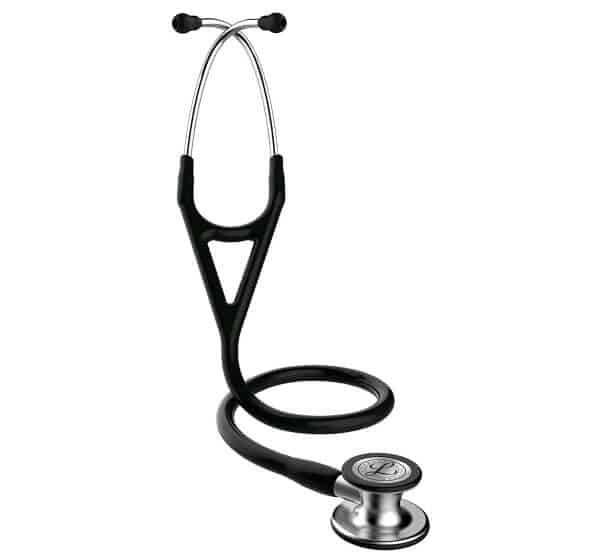 Overall, the Littmann Classic III stethoscope is a great model for everyday patient exams. The Classic III is probably overkill for taking vitals and lacks the nuance needed for cardiology, but it is perfect for paramedics, nurses, and physicians’ assistants looking for a reliable Littmann stethoscope to do standard patient exams. Littmann’s cardiology stethoscopes are well above the quality of cheaper models, but among the top tier, what separates the men from the boys? The Littmann Cardiology III was the bottom line on cardiology stethoscopes for years. The sound quality is significantly better than the Classic III, and overall it is a great buy. If you loved using the Cardiology III and want another one, I have good news for you. They’ve come out with the Cardiology IV, and it’s even better! The Cardiology IV is the best Littmann stethoscope on the market without getting into the pros and cons of electric stethoscopes. The Littmann Master Cardiology has slightly better acoustics, but at this level of performance the difference is splitting hairs. The Cardiology IV has a double sided head with both an adult and pediatric tunable diaphragm. The pediatric diaphragm membrane can be replaced with a rubber ring to become a bell if desired. The Littmann Cardiology IV is perfect for identifying cardiac, breath, and other bodily sounds in both adults and children. 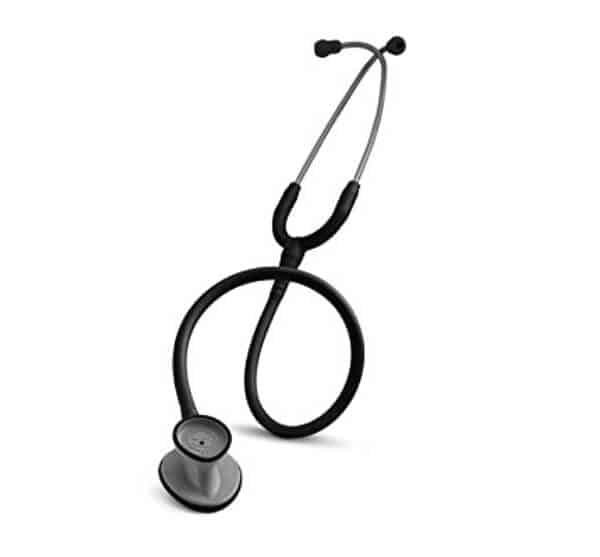 It is our top Littmann stethoscope pick for its quality, versatility, and overall performance. By thickening the stainless steel head, increasing the diaphragm size, and removing the pediatric diaphragm, the Littmann Master Cardiology reaches the very peak of acoustic performance. Although the sound quality is second to none, compromises were made in other areas that may make this stethoscope less appealing to some. If you have a pediatric rotation or see children on a regular basis, the adult-sized diaphragm is too large. It does come with a rubber pediatric attachment that still lets you use the tunable diaphragm, but it is a separate piece from the stethoscope. Keeping track of the detachable pediatric adapter all the time could be annoying. 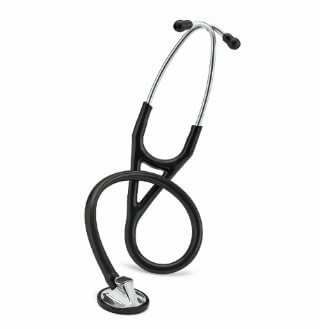 The Master Cardiology is one of the heaviest Littmann stethoscopes because thicker stainless steel is used in the chest piece to improve acoustics. The acoustic difference between the Master Cardiology and Cardiology IV is not extreme, so the versatility of the Cardiology IV makes it a better pick for most people. If you value acoustic quality above all else, however, this has the best sound quality before taking a large price leap into electronic stethoscopes. Under normal circumstances, a Littmann Cardiology stethoscope is all you’ll ever need, but for those who are hard of hearing, an electronic stethoscope may be necessary. Electronic stethoscopes digitally boost the sound coming through the diaphragm to much higher levels and selectively decrease ambient noise. The Littmann 3100 Electronic Stethoscope can be set to diaphragm or bell mode to selectively hear high or low frequencies respectively. Note: This review is for the 3100 stethoscope. The 3200 has the same auditory benefits, but it can record sounds for playback later. Under normal circumstances, there is no reason to spend the considerable extra money for an electronic stethoscope. For those with hearing loss, however, it can really improve their ability to examine patients. If you are only taking vitals, the Lightweight S.E. II is all you need. For vitals and standard cardiopulmonary exams, the Littmann Classic III is the way to go. For identifying and studying cardiac, lung, and body sounds, the Cardiology IV or the Master Cardiology are the best. 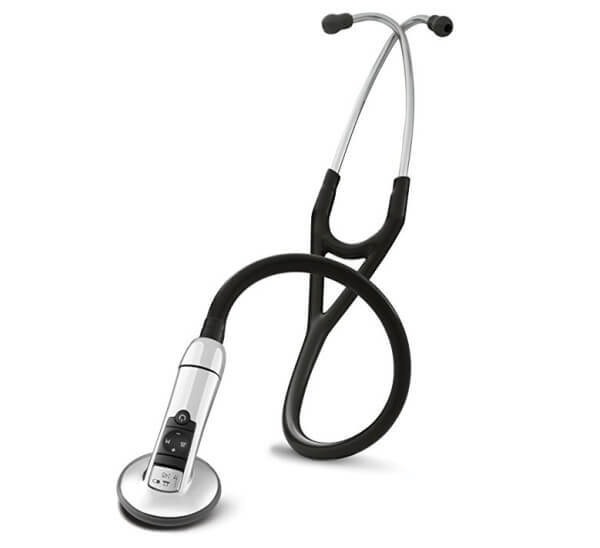 If your hearing is impaired, look into the Littmann 3100 electronic stethoscope. 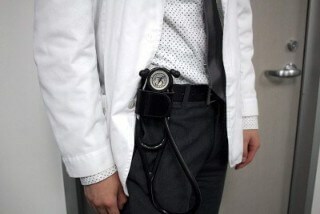 If you don’t like conforming to the stethoscope-around-the-neck stereotype or you work with violent psych patients, there are a variety of convenient holsters that can both clip to a waste band/pocket or thread through a belt loop. My personal favorite is this leather Velcro stethoscope holder because it looks slick and holds any model/size of stethoscope. After spending a lot of money on a nice stethoscope, it would be a shame to crush it under books or puncture the diaphragm as it rolls around in a bag with the rest of your stuff. 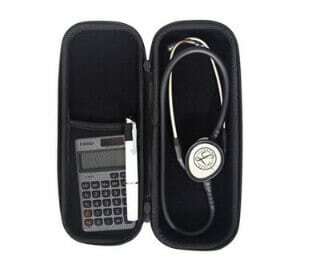 A hard case protects your Littmann stethoscope from damage and can double as a pouch to consolidate nick-knacks. Personally I like the zippered hard case. With high quality stethoscopes, a longer tube does not noticeably reduce sound quality. Stainless steel is the optimal acoustical material for a chest piece . Welsby, P. D., G. Parry, and D. Smith. "The stethoscope: some preliminary investigations." Postgraduate medical journal 79.938 (2003): 695-698. Abella, Manuel, John Formolo, and David G. Penney. "Comparison of the acoustic properties of six popular stethoscopes." The Journal of the Acoustical Society of America 91.4 (1992): 2224-2228. "Heart And Breath Sounds: Listening With Skill." Modern medicine. N. p., 2018. Web. 24 Mar. 2018. Reschen, Michael. "Medical folklore—the use of your stethoscope's bell." BMJ: British Medical Journal 334.7587 (2007): 253. McGee, Steven. Evidence-Based Physical Diagnosis E-Book. Elsevier Health Sciences, 2016. Patentimages.storage.googleapis.com. N. p., 2018. Web. 4 Sept. 2018.